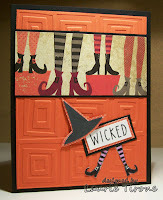 TODAY ONLY- Great Deals on two Halloween Styles! Happy 70th Anniversary Wizard of Oz! Today is a big day for Wizard of Oz fans! This family classic has been digitally restored and will be available on Blu-Ray DVD to celebrate the movie’s 70th anniversary. Netflix is “treating America” to a free viewing of the movie on October 3 and today, Netflix is also hosting a free concert and movie showing in New York City. 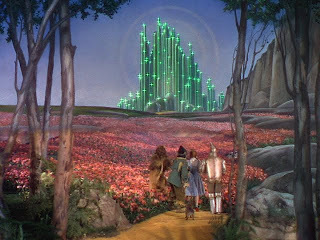 Former American Idol, Jennifer Hudson, and other celebrities will be performing some of the songs from The Wizard of Oz. If your children have not seen this terrific film, click here for details about how to take advantage of this free showing on October 3rd. If you want to get into the Oz spirit right now, click here to watch a short clip from the movie! 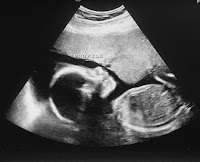 OK, So I am totally amazed that the baby in this ultrasound photo is now here--smiling, cooing, kicking her legs like crazy, and has forever changed my life if ways I could have never imagined. Take care of yourself so you can take care of your baby. It takes about three to six months to adjust to the change of adding baby to your family. It takes about the same amount of time to adjust to each new addition. That is normal. There are emotional and physical adjustments. Just because it is hard does not mean you're doing something wrong. I love the part where she said "There are emotional and physical adjustments. Just because it is hard does not mean you're doing something wrong". I knew everything was about to change, but until I experienced having a baby firsthand, I really had no idea. I have found that so many times I am second guessing myself and wondering if I am doing this wrong....Am I holding her too much? Should I let her cry longer? Is she sleeping too much? Is she not sleeping enough? Should I give her more to eat? What if I do this wrong and I ruin her life for good? Well, I am slowly starting to realize that there is no "right or wrong". I have begun to trust my gut (as well as listen to the pediatrician, the books, my mom, and friends) but mostly listen to my instincts and trust myself that I can do this. And guess what? She's three months old and hasn't spontaneously combusted due to my lack of experience. She's happy and healthy and sleeping through the night! 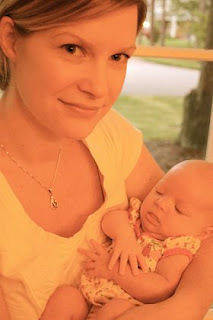 Kathmomofsix, you'll be happy to know that I have been reading to her since she was 4 weeks old. I read her the same story every night and she has started to "coo" when she hears me read during our nighttime routine. It's the most amazing thing I have experienced in my life thus far. I know this is only beginning....any advice for 3 months and growing? 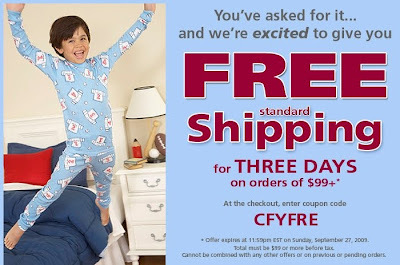 Get Free Standard Shipping on your order of $99 or more! Just enter code CFYFRE in the coupon code box during checkout. Hurry, offer expires 11:59pm EST Sept. 27, 2009. 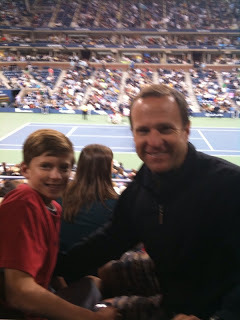 Over Labor Day weekend, CWDkids President Jim Klaus (my brother), and my son went to the US Open tennis tournament in New York. As you can see, they had a great time enjoying New York City and the wonderful tennis tournament. Jim and my son enjoyed box seats for an amazing tennis match featuring Andy Murray thanks to one of our favorite brands, Lacoste. After a very special weekend at the US Open, my son has tennis fever and is WILD about the Lacoste tennis wear. Click here to see more Lacoste's championship tennis wear. Look fast as most items are on sale and will be gone soon! 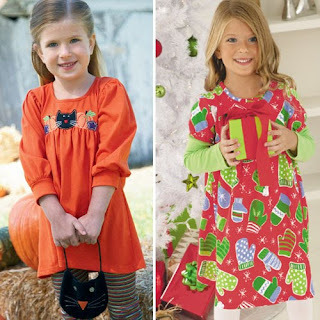 Girls can transition from summer to fall in a trendy, multi-season bubble dress from Plum Pudding. This bold graphic dress can be worn alone or with a short sleeve tee-shirt while it's still warm outside. Add the long sleeve tee and leggings, or tights, for fall's cooler weather. We love that this versatile dress offers a hint of sophistication but is still age appropriate for young ladies. Mom's agree! See all Plum Pudding here. "We came to Richmond that August right before she turned 4 for her cover shoot. So while she wasn't a regular CWD model the experience was amazing and something she would like to do more of. Currently, she is an 11 year old middle-schooler with a serious bent toward fashion. We visited a friend at the New York Fashion Design Institute this past spring and Rebecca is already pursuing things like drawing and sewing classes with the goal of being admitted to that school herself when the time comes. In addition to her amazing fashion design sketch book portfolio she is pursuing voice lessons, acting and hopes to do some more modeling too." Thank you so much for contacting us Rebecca! We are thrilled to hear that your are pursuing a career in fashion and wish you the best of luck. Keep up the good work! TODAY ONLY* - Appaman Numbers Tee's are Wednesday's Deal of the Day! 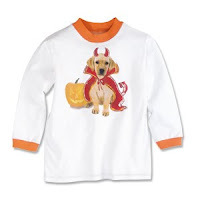 Celebrate their age in these fun, long sleeve, cotton tee-shirts. Perfect for Fall! It Is National Eat Together Week! Did you know that this week is National Eat Together Week? Neither did I! until I read an eye-opening article in Health magazine. 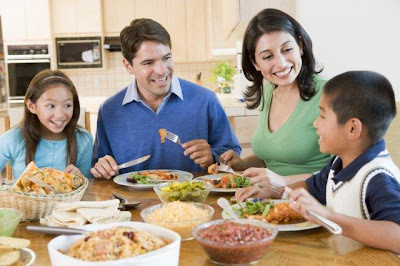 Read this to learn more about the many benefits to eating at home with your family. Health magazine says that you will spend less money on your meals and that you and your children will develop better eating habits which often leads to better performance at school. Now, you just have to plan and cook them! Click here to find some great tips for family menu planning on one of our favorite blogs, Simple Mom. The latest Fall fashion starts with layers. This look is all the rage with young ladies this season--knee length cable cardigan with a sweater dress, pull-on leggings, leg warmers (yes, history repeats itself! ), and a hip cap to top it off. Kara: Every time my husband and I visit his sister and her family, her three children (ages 6-11) are grabbing for his iPhone to play with his apps. He's had to download some kid friendly apps for them to play with (because they are not so interested in Texas Hold'em just yet). Here is a list of 25 kid friendly iPhone apps, great for keeping them entertained at the grocery store or stuck waiting on line. Jim: Not sure what you are going to be reading, watching, or listening to this fall? Click here to find a super list of "50 Things To Hear, See, and Do This Fall" from Time magazine. You will find what will be new in books, movies, art, and music. I don't know how I am going to find the time to enjoy it all! Ashley: I love this: a "rescue-me" recipe! I found this term and a rescue-me recipe on the Big Red Kitchen blog. According to this blogger, a rescue-me recipe is on that is quickly created and loved by your guests. Click here to find the Big Red Kitchen blog's 30 second cheese ball recipe. We all need a go-to last minute appetizer in our recipe box! I love this time of year. My children have finally settled in to their school routines and cooler temperatures are starting to arrive. A few weeks after school has started, my children love to throw a Hello Fall, Goodbye Summer Party! 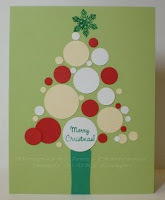 This year, I found a great idea on the Inchmark blog that I am going to try to replicate. 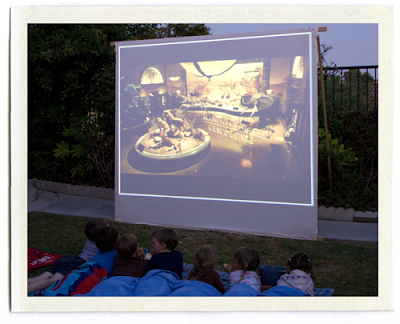 We are going to host an outdoor movie party, complete with popcorn, pizza, and my children’s favorite… Izze drinks. My children love being outside, combined with friends, snacks and a movie, they will be in heaven. I love the idea of showing a movie that will get them motivated for a great school year. Please let me know if you have any great movie suggestions! TODAY ONLY* - Great Deals On Three Of Our Most Popular Items! 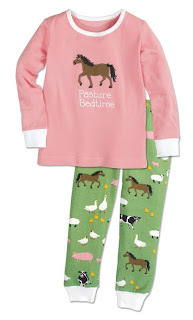 We love these sweet barnyard PJ's with the catchy embroidered saying "Pasture Bedtime" from Hatley! 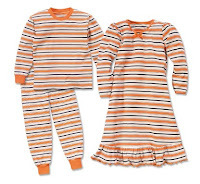 CWDkids is known for our horse theme collection and these pajamas make a great addition. Perfect for you little horse lover or child who simply loves animals. See our entire horse collection here. Mrs. Reid - 30 Years with CWDkids! Before we were CWDkids, we were a chain of retail stores called Small People. Small People was founded in 1979 by CEO Philip Klaus, Jr. When Philip was having lunch at the High's Ice Cream Store in Beverly Hills Shopping Center (in Richmond, VA), his waitress happened to be a very friendly woman, named May Reid. While worked progressed on his store, Philip and Mrs. Reid talked daily and by the time the store opened, Mrs. Reid was a Small People employee. Days turned into years and Small People eventually became Children's Wear Digest, and then CWDkids. One constant during CWDkids history has been Mrs. Reid. Mrs. Reid, a native of Rhode Island, is the mother of five sons, 10 grandchildren and at last count 12 great-grandchildren. It has been a tradition in the Reid home that all the family gathered for Sunday dinner. Mrs. Reid has an additional "mini" kitchen in her basement to handle the overflow of cooks. Having worked side by side with Mrs. Reid for 10 years I would look forward to Monday mornings just to hear about her family dinners. She had such wonderful stories and I shared many laughs with her. Mrs. Reid is never at a loss for words and has that New England quick wit! During my years with Mrs. Reid our steady stream of regular customers would come week after week to buy from her. Mrs. Reid remembered every one of them by name as well as their children's names and sizes, and now she is now fitting those children's children! They all come in to say hello and get that special hug and smile. Even former high school store employees come back to visit her, many bringing in their own children now! To grow a successful business, you need a strong leader. CWDkids certainly has that in our president Jim Klaus. You also need intangibles such as warmth, a friendly smile, and loyalty. We certainly have all of that and more in Mrs. Reid. Congratulations Mrs. Reid on your 30 years of loyal service to CWDkids! Grandparents' Day is This Sunday! Did you know that this Sunday is Grandparents’ Day! This special day was created 30 years ago. When the proclamation was signed by then President Jimmy Carter, there were 17 million grandparents in the United States, now there are 70 million! 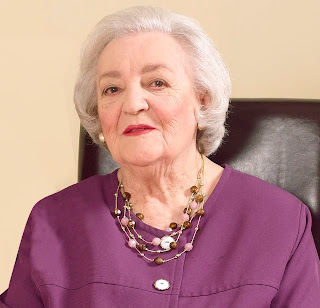 Over 30 years ago, Marian McQuade, a West Virginia housewife, came up with the idea to honor grandparents and to bring awareness to the elderly living in nursing homes. She had 15 children and 43 grandchildren! At CWDkids, we know how important grandparents can be in a child’s life and salute them for all that they do! Take a look at one of our favorite sites, grandparents.com, to learn more about this holiday and to find activities that your child can share with their grandparents. P.S. The above photo is of my grandmother, Nathalie, and my son, Bennett! Cooler weather is coming! Get your girls ready in this adorable Flower Fleece Coat from Sara's Prints. We absolutely love this coat and are convinced you will too. 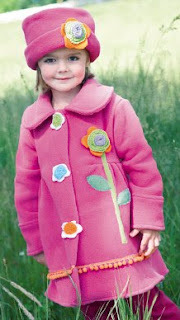 The attention to detail -- applique flowers that cover snap enclosures, pom pom trim, and hand stitched floral applique designs make this coat a wonderful value at $48.00, especially if you can pass it down to younger siblings! See our entire outwear and sweater collection here. You may recognize her from our blog header! We first met Victoria last year when she had recently returned from a month in Poland! At the time, she was a little more comfortable with her mom's Polish, than our English! Besides modeling, Victoria takes dance classes and hopes to visit Disney World very soon! Halloween PJ's are Frightfully Adorable! 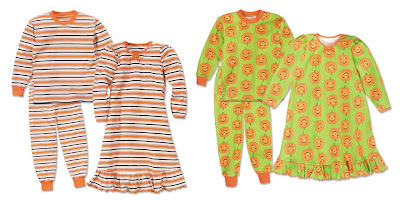 Celebrate Halloween and Fall all season long in our super popular coordinating PJ's! Match your little ones in these fun pajamas--they'll be excited to wear them to bed and parents will have the perfect photo opportunity! Shop all Halloween styles and pajamas here! We recently recognized children who are making a positive change in the lives of others. You can read about our CWDkids Care contest winners here, but I want to recognize a local parent who is making a positive difference as well. Meet my friend Matt, a great father and husband who recently returned from a trip to Africa where he and group of others built two water cisterns in a small village in Kenya. 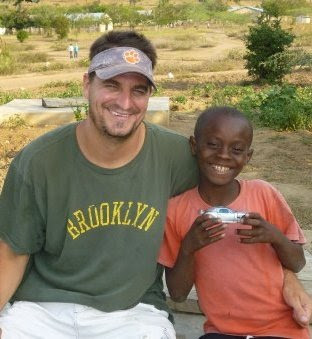 (That's Matt just after he gave a Kenyan boy a gift from his 4 year old son Owen: the Transformer toy "Jazz"). 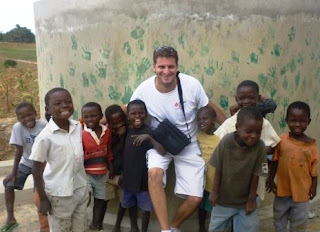 Matt raised $5,400 for the organization Koins for Kenya-- enough money to help construct the cement structures which provide clean drinking water to the primary schools in the village. Without the water cisterns, school children are forced to drink disease infested river water which they must walk miles just to collect. No w, thanks to Matt and his group, these children have access to clean, healthy water all year and can spend more time focusing in school. Matt also plans on collecting sunscreen for albino children in Kenya who so desperately need the protection to survive in the African climate. CWDkids is happy to donate clothing to the children in Kenya. If you would like to read more about Koins for Kenya, please visit the web site here. To make a donation click here. Giddy Up Horse Lovers! Wednesday Deal of the Day is our zip up Riding Boot! Hurry, offer expires at 11:59 PM EST Sept. 9th. Update! On July 2 this year (4 weeks early) I had my first baby! A little girl, Charlotte Kate. She is now two months old and we have been having so much fun getting to know her and watching her grow. Being a mom has been the most amazing experience of my life so far and I cherish every moment I have with Charlotte. Up until now, I've been spoiling my nieces and nephews with clothing from CWDkids, but now its Charlotte's turn! 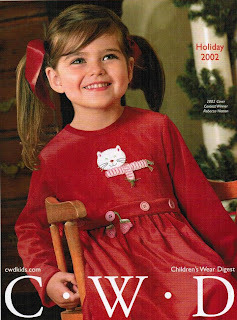 I'm one of the CWDkids "newbies"...I have been here since 2006 as a Marketing Manager responsible for our Internet and catalog marketing, among many other daily tasks. Most recently, I have become one of the contributing writers for this blog. Working at CWD has been challenging, rewarding, and fun, and I love the products we sell! It has been an exciting two years and I am proud to be a member of the CWDkids family. I've seen the company grow and change in a very short time, and I am looking forward to all the exciting projects that I hope to be a part of. 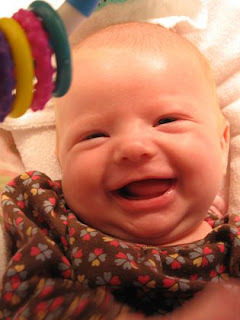 I just had my first baby on July 2, 2009. Her middle name, Kate, is a combination of my name (Kara), my mother's name (Kathleen), and her great-grandmother's name (Catherine). 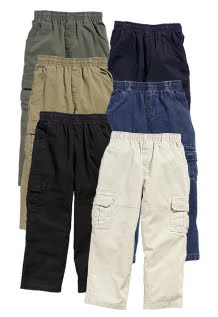 Hurry - $6 Shipping Extended! As a Labor Day treat, we've decided to extend our $6 Standard Shipping offer through Monday! You have one more day to take advantage of this offer, so hurry! Offer will expire 11:59 PM EST September 7th. Just enter code CFX6SH in the coupon code box during checkout. Must Have For Fall: SCARVES!! Here in Richmond, VA we've gotten a taste of Fall the past few mornings. What a relief after the scolding hot and humid summer. Can't you just see it--pumpkins & mums, apple cider, and cozy new sweaters? Welcome Fall! What do stylish little girls want this autumn? SCARVES! This season, girls are topping their outfits with every color scarf that you can imagine. A new colorful scarf livens up any outfit, adding a little pizazz to basic shirts or sweaters! We are excited to have many fun and affordable scarves. 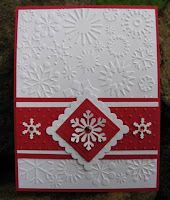 Take a look Here and Here to see a few of our favorites. Kara: There has been a lot of news about the swine flu lately, and having a newborn in the house I have been getting a little nervous about contracting the the dreaded virus. It may seem like common sense, but it is SO important to wash your hands to prevent infection. If you think about how many surfaces you touch during the day that other people have come in contact with (and how many of those people did NOT wash their hands), I think you would be surprised. Here is interesting article about the importance of hand washing to prevent getting sick. 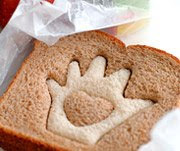 Ashley: School has been in session just over a week and I am already scrambling around for new ideas of what to put in my children's lunchboxes! With three children, each with different tastes, it takes a lot of ingenuity to make healthy, yet appealing lunches. I found some great suggestions on the Tip Junkie blog this week. Take a look here to find many great ideas. I think your kids will thank you! Tracy: Although my child is only 2, back-to-school season has me thinking about when she heads off to school. I read this article (and some others like it) recently and have decided that I fall into the camp of parents who think that Kindergartners do not need homework. I think that a full day of school is plenty and they need some downtime. It is a controversial topic so I would love to know what you all think...especially parents who have older kids that have "been there, done that." 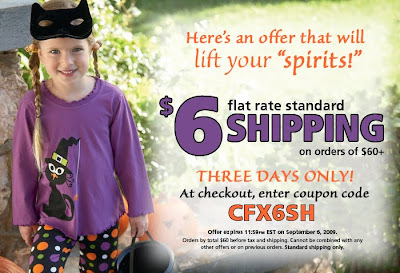 Three Days Only - Receive $6 Standard Shipping on your order of $60 or more! Today through Sunday, Sept. 6. Just enter coupon code CFX6SH in the coupon code box during checkout. TODAY ONLY - Get ready for Halloween in these fun pajamas and tee shirt! Order now to wear all October. My Daughter's First Apartment: Her School Locker! My daughter is starting middle school this year. She will go to a new campus and will change classes. Do you want to know what her favorite part about middle school is? It has nothing to do with the new location or her academic environment. She will get her very own locker!! Have you heard that a girls’ first apartment is her school locker? I laughed when I heard that joke at school last year. I thought, to myself, that is for some other girls, not mine. Well, I have to admit, I was wrong. My daughter has been planning how to accessorize her locker all summer. Early on, she informed me of the “must-haves” for your locker: locker shelf, magnetic pencil holder, photos of her friends and dog (NOT her mother of 11 years..) and a mini whiteboard. This appears to be the bare minimum. 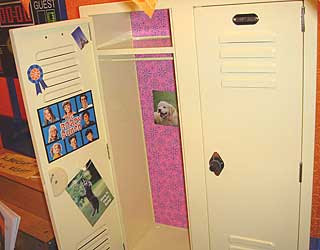 I did find a fun post on the Tip Junkie blog that gives more great ideas on how to accessorize your school locker. Click here to read it. My brother told me that he heard some children have themes for their lockers. I have told him to keep this information to himself. I am frightened that she may consider installing a doorbell to her locker. I will keep you posted as to the contents and decorations of her locker as her fifth grade year progresses. These out-of-this-world outfits are going fast! 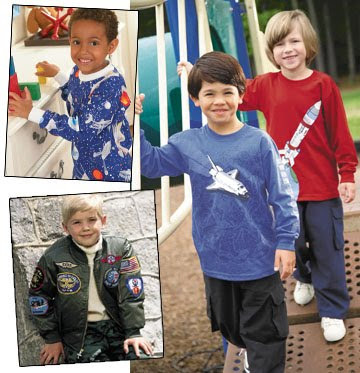 Let their imaginations take flight in the best space-inspired clothing. Click here for our Space Invasion Collection!